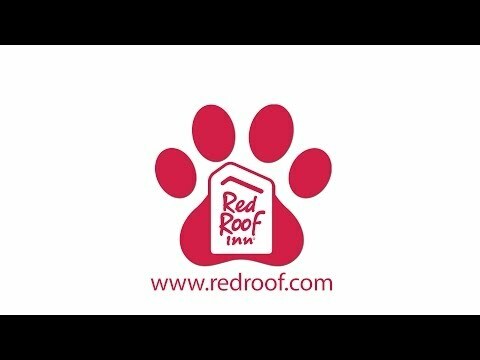 Please visit redroof.com for a list of properties nearby. Thank you. All guest rooms offer free WiFi, 39” Flat-Screen TV, hairdryer and in-room coffee. Select rooms offer a microwave & refrigerator. One well behaved family pet is welcome. Book now! Traveling to Grand Forks, ND for business? Enjoy our location just 8 miles from the airport for easy traveling. We also offer banquet rooms for meetings! Ask about our Sunday-Thursday Business Rates. Stay with Red Roof! Enjoy Muddy Rivers Bar & Grill on-site! Within 1 mile, eat at Bonzer’s Sandwich Pub, Sanders 1907 Restaurant, Toasted Frog, Mama Maria’s, Blue Moose Bar & Grill and more! Click here for a full list of dining options. Book now! Empire Arts Center (0.3 mi away) hosts shows, films, concerts, and more. Alerus Center (3.4 mi) hosts live events, trade-shows, and conventions like the Tummy and Tots Expo (Oct 22) and is the home of UND Football's 2017 season. Book Now! Spend a day of shopping at the Columbia Mall (4 miles away), which features more than 70 stores. Cabela’s is just .8 miles away. For a full list of shopping destinations, click here! Book now! Our non-smoking Inn houses a large atrium featuring an indoor heated pool & hot tub and golf course! The hotel offers a business center, meeting facilities, nearby gym access, and an on-site, full service restaurant and bar, "Muddy Rivers Bar & Grill". Book now! Traveling from out of town? Explore the Greater Grand Forks Visitors Bureau for ideas on dining, nightlife, shopping, events & attractions! Grand Forks is home to a great mix of sports events, a vibrant arts scene, miles of biking, hiking and inline skating trails, plus a revitalized downtown. Stay with us in Grand Forks! Visit a family member or explore the campus at University of North Dakota - 1.5 mi away! Check out the Ralph Englestad Arena, home to men's and women's hockey, basketball, concerts, and more. Don't miss UND Homecoming October 2-7! Enjoy shows at the UND Theater Department next school year as well. Book Now. The Grand Forks, ND Train Station (GFK)/Amtrak Station, is just 4 mi away and the Grand Forks International Airport is just 8 mil away from our hotel. Heading to Grand Forks for business? Ask about our business rates Sunday-Thursday! Make business travel easy when you stay at our hotel near Grand Forks Airport. BOOK TODAY! Catch one of the latest movies in 2D or 3D at River Cinema 15, only .7 miles away from our location. Check out the show times and BOOK NOW! Grand Forks Air Force Base, a United States Air Force installation, is just 18.1 miles away from our location. Whether traveling on leisure, as a government contractor, official business or military friends & family, click here for our 10% military discount. Book now! ALTRU Clinic – East Grand Forks is just 1 mile away and is dedicated to providing their patient with the highest quality of care. Visiting a loved one or here for a procedure? Rest easy knowing you're close-by. Stay with us. Enjoy a great fishing adventure with the experts at Brad Durick Fishing, guided Catfish channel fishing for anglers of all levels. Through the entire summer, Brad Durick Fishing, knows exactly where to go for the vest fishing action. Call for Specials! Book Now. Stroll through downtown Grand Forks and East Grand Forks, view artwork by local artists at galleries, restaurants, and other businesses, and enjoy samples of wine or other refreshments at the 2017 Art & Wine Walks! Enjoy these great events April - October. Stay With Us! At Red Roof Inn Townhouse - Grand Forks, "You Stay Happy, Pets Stay Free!" Book now! See the North Dakota Men's Hockey take the ice right around the corner from Red Roof. Enjoy the shuttle to & from! $4, includes a drink coupon. Cheer your Alma mater to victory and stay close by in 2017 -18! Book now. 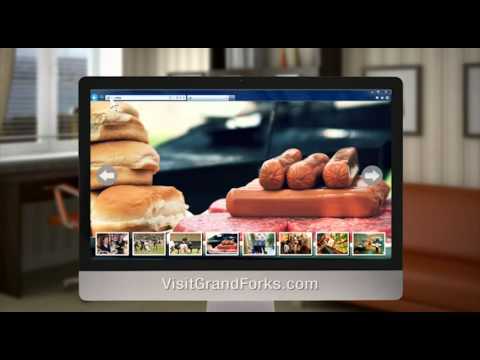 Watch this video and come experience all that Grand Forks has to offer. Learn more. Book now! Come stay, and play, with Red Roof Inn Townhouse! This package is $85.00 per person Sunday & Thursday, and is $95.00 per person all other days. Price includes Green Fee & Power Cart at King's Walk Golf Course, 1 Bucket of Range Balls, your Guest Room at Red Roof Inn Townhouse. What a deal! The course is just 5 miles away from our property. Visit the site for details on how to book! "priced right, downtown location with pool"
“I stayed for several nights, decent people and decent lodging. I liked it enough to go back a few days later. they even offer a funeral rate. they have a bar and restaurant (good food) mostly working class folks during the week.” Read more reviews. Book now!